Today, I have a great article from Elaine Westerfield at Upscale Cheapskate. When many people are bored, usually they resort to spending money. However, with this list, you'll see that there are other things to do than just spending money! Below is Elaine's article. Enjoy! We have all been there – a lazy day with not much to do. You feel the urge to spend your time shopping or buying tickets to an event. I used to spend hours on a Saturday (and spending hundreds) going from store to store, buying items that brought no value to my life. Even worse, I would waste hours on the computer, obsessively checking my social media or binging on the latest show. I eventually realized I was wasting valuable hours that I could be using to improve my stress levels, home, and career. Once I had this realization, I took the time to calculate how much I was spending on “entertainment” and pointless items. In one month, I had spent over $600 on clothes I didn’t need, expensive movie theatre tickets (plus the $20 small popcorn), random toys for my dogs, and everything else that I thought I needed to fill up my time. Forcing myself to actually meticulously go through and add up all the pointless spending was a wake-up call. I realized that I really didn’t need to be spending that much to feel fulfilled. In fact, I see now that the secret to feeling happy is to really do the opposite – spend less and own less. Now, I take time to work on myself, my home, my career, and spend time with my family – and no $20 small popcorn is required. The next time you are bored and find yourself searching for something to do, resist the urge to start spending money. 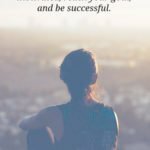 You will be amazed with the increase in your happiness, productivity, and bank account if you turn those wasted hours into self-improvement. Check out this goldmine of a list and save it for later, too! When is the last time you read a great book? Your local library is home to tons of free reading material! Create a list of all the books you want to read and start chipping away! Starting a book swap with friends or relatives is also a fun idea. Going outside for a little fresh air is something we all should be doing more. Walking is free exercise! On that note, pretty much any outdoor exercise is productive, fun, and free! Add in some jogging, a few jumping jacks, and some crunches to really kick it up a notch. Even if you live close to family, you might not really see them enough. Go hang out at grandma’s house for an afternoon and you will make her day! You might even leave with some free cookies. There’s something therapeutic about writing (at least I think so!) If you don’t have a physical book to write in, open up a new document on your computer! Channel your inner Rachel Ray and get busy in the kitchen. Use ingredients you already have to experiment with a new recipe. I sense a new family favorite recipe coming! While it’s recommended that you use a hosting service that might have a small fee, you can still start a blog for free on many sites! If you just want to get your feet wet in the blogging world, this could be for you. Starting a new hobby doesn’t mean you have to spend money. Use your phone to start some amateur photography. There are tons of free photo editing apps! Have you ever thought “I wish there was an app for that?” Creating an app might be much easier than you think. There are tons of tutorials on line to get you started. Learning how to write code is also an extremely valuable skill set. Having some quiet time to reflect is necessary in everyone’s lives. Try looking up some YouTube videos for guided meditation. There are also some free meditation apps that you can download. Go through your friends list and delete all the randos that you accepted when you were 16. It’s not a bad idea to untag yourself in all the embarrassing photos too. A little social media clean up can go a long way if you are looking for a job, too! These nifty little things can really get you out of a rut, and moving towards your goals. Create a vision board with materials you have around your house, such as old magazines, and become inspired! There are so many YouTube makeup and hair tutorials. Pamper yourself and try some out. Personally, I’m still trying to perfect the Kim Kardashian contour. People always say “That’s on my bucket list!” but how many have actually taken the time to sit down and write down their actual bucket list. Writing it down will make it more real and make you more likely to achieve it! Plus, its super satisfying to actually cross things off! Sitting around the fire with friends is an excellent way to have some free fun. Ask a friend to bring some smores supplies and you’ve got yourself a party! Going through old home movies and photos, especially with other relatives, is super fun! This would be a good opportunity to actually organize them all, too. My Grandmother is in her 90’s and still does crossword puzzles. It keeps her mind active! Really, these things aren’t just for old people and are great for your brain! I used to be a sucker for the nail salon. That was until I realized how much money I was blowing to have my nails done! If you take the time to be careful, you can give yourself that salon look at home. You need no excuses to pamper yourself – especially if it is free! Add some Epsom salts for a spa-like experience. Many local museums are free! You could have a gem waiting to be explored in your hometown. Where do you want to be in 5 years? Writing down your bio in 5 years or a list of goals will help motivate you to make it happen! It’s also really inspiring and fun to think about your future. Feng Shui feeling off? Revamp a room in your house to make it feel fresh! There are countless free online courses that could help you learn a new skill and even boost your resume. Speaking of resumes, when is the last time you updated yours? Taking some time to keep your resume current will save you the headache of trying to do it all at once later. Also, writing an up-to-date cover letter to pair with your resume is a nice touch. This one is a little bit different but have you ever “googled” yourself? You might be surprised with what the search returns. I found out there is a British author with the same name as me! This can be important if you are job searching too! You want to start doing some freelancing work but just haven’t gotten around to starting. Do it right now! Set up profiles on a few freelancing sites. Use some of your free time to actually make money instead of spend it! Becoming a virtual assistant could help you earn some extra cash. Taking online surveys is another quick and easy way to get some more income. 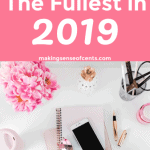 Some great ones include: include American Consumer Opinion, Swagbucks, Survey Junkie, Pinecone Research, Prize Rebel, and Harris Poll Online. Just like the last two suggestions, signing up to become a mystery shopper is an excellent and fun way to earn money. Becoming an Uber driver is probably one of the fastest growing side hustles. Download the app and you are ready to start making money! Post items on your local Facebook yard sale page or Craigslist! This is another way to get some extra cash in your pocket! Most people buy insurance and never think about it again, except for the payments. There’s a chance you could find a better deal, especially if you have had the same policy for years. Take some time to research your options and you could save some money! This also hold true for your cable, trash, and other utility bills. Using a budgeting tool like Mint.com is free, easy, and will drastically improve your finances. The benefits of budgeting are endless so what are you waiting for? It’s amazing what an organized closet can do for your psyche. Somehow, an organized closet = organized life! My car is pretty much always the last thing I get around to cleaning. My backseat has the “water bottle graveyard” as I like to call it. Some good old-fashioned elbow grease will have your car looking clean in no time. Everyone has that random dish or cup full of coins at their house. Go around and collect all your spare change. Bring that baby into a coin counting machine and have a nice little payday. I am always shocked whenever I find out that someone doesn’t know their credit score. Its free and super easy! Take a few minutes to find out your score! Check your credit score with Credit Sesame for free! It feels freeing to know everything is in order on your computer. I like to make a folder for each calendar year “Documents 2017” and then more specific folders within there! Files are a million times easier to find. 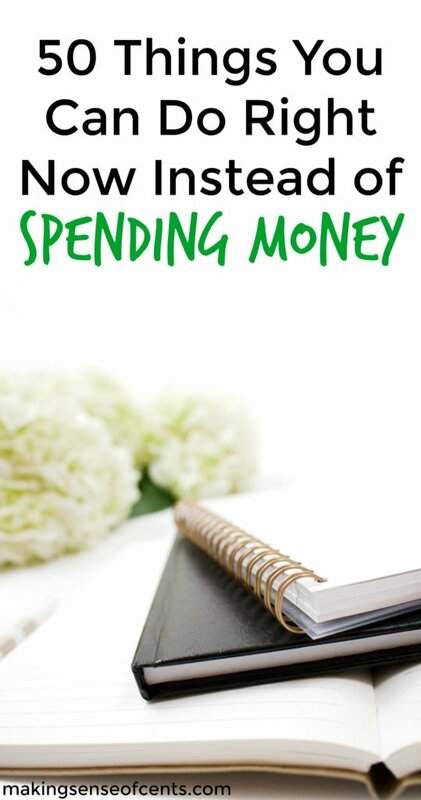 If you want to save more money – this is a great way to do it! Planning your meals out for the week helps you eat healthier and resist the temptation to eat out. Taking some time to pick out this week’s outfits will save you precious sleeping minutes in the morning before work. You will thank yourself later! Place all your important documents like your birth certificate, marriage license, passport, etc. into an organized file folder system. It’s a great feeling knowing that everything is where you expect it to be. That yard isn’t going to rake itself! This could totally count as a workout too! Give Fido a bath! While you are at it, a nice nail trim would be nice for him and your floors. It is much easier to teach your dog a few commands than you think! Teaching your dog a trick is also a great way for you two to bond. Sometimes I cringe when I think about my junk email. I’m pretty sure my quality of life would increase substantially if I unsubscribed from the hundreds of emails I get every week! Use some free time to clean out the email clutter and you will feel a tiny bit more free! I always want to use coupons, but find it hard to find the time! If you have some free time, use it to save your future-self some money at the store. Are you doing enough for retirement? You can use online calculators to find out how much you should be saving! A lot of people just set their monthly contribution and forget about it. Revisit your accounts and verify that you are on track and if you can do more. Volunteering at a soup kitchen helps serve your community and I guarantee you will leave feeling great about yourself! Local shelters desperately need volunteers and who doesn’t want to play with dogs all day? Keep this list handy to continuously remind you of valuable things you can get done. Some of the items on this list might not be the MOST productive things in the world (I’m looking at you, bubble bath) but it’s also a great way to make sure you get some “me” time! Is there anything you would add to this list? What do you like to do instead of spending money? Let me know! I love the ideas for making money instead of spending. It’s so easy to spend when you’re bored, and that is never a good plan. That’s like grocery shopping hungry! Always ends bad…. 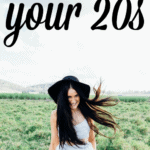 All such great tips and well worth bookmarking! Thanks! This is such a great list. Thank you for sharing! I have to admit that I tend to eat sweets or anything I can get my hands on when I’m bored at work. When I’m bored at home, I tend to go to the mall for a walk and sometimes make impulse purchases. Perfect list to kick off the weekend… enjoy! When I’m bored, I tend to watch TV or surf the Internet. Thanks for sharing productive ideas and also some that can actually help one make money! I’ve been brainstorming more on topics to write about. And the oddest thing is, I never took seriously the power of writing and publishing reviews on the smallest things such as laptops, sneakers, dress shoes, suits, nor car reviews. Goes to show I really have to get my writing up to par because there’s more than enough business for everyone and more than enough money online for everyone to earn from blogging and writing reviews so we can save more money when we get our affiliate checks, instead of hitting up the outlet stores once we get our affiliate commission checks. Michelle you have been an inspiration! Great information! Always looking for ways to monetize my time! Volunteer with Keep America Beautiful for cleaner communities. Start planning your Halloween costume! And of course, come up with an idea that can be DIY and free😁. Thanks for the great list. Lots of great tips. I’m bad for defaulting to spending money instead of finding something free to do when I’m bored. 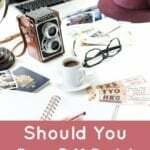 Usually I’ll think of going to a movie or going out for coffee or do some online shopping but these are all much better ways to be both productive and save money. 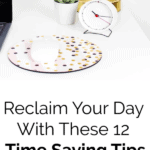 Thanks for the long list of tips and yes are all good for no spending money, thanks for sharing! I love lists like this! I always refer back to them when temptation hits! Great tips you have here, Elaine. Thank you so much for sharing this awesome piece with us. You have given me loads of fresh ideas of what I can be doing instead of wasting time and money. With these ideas, temptation to splurge on the unnecessary is easier to deal with. Thanks for this informative post! These are some nice suggestions, but you forgot one of the best ways to spend your free time without spending money (optional); play addictive online games till your wrists get sore!